These are watches I haven't worn for ten years or more and have definitely not been serviced recently, so they don't get more than a day or so on the wrist. Additionally watches with more delicate movements (such as the bumper wind Zenith below) don't get taken on my daily hike. 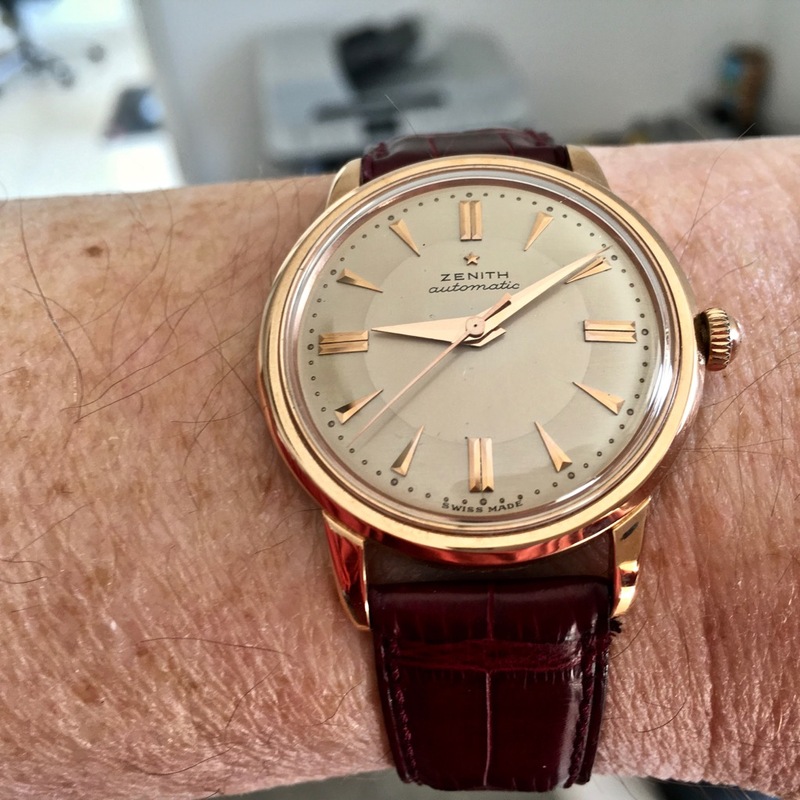 Yesterday: 18K red gold Zenith bumper automatic with a nice Cal 133.8 movement. 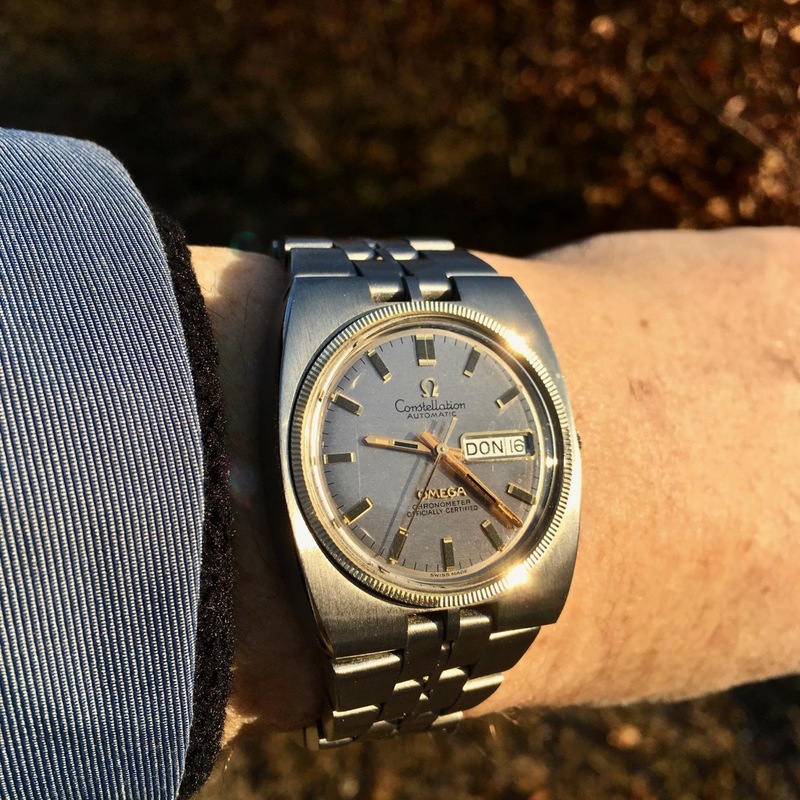 Love the design and implementation of the dial, hands and markers of this watch, especially the chapter ring with a slightly different cream colour. The case is 18K but in real life has a coppery tint which possibly lets the overall appearance down a bit. This is the non-chronometer version of the movement designed by Jobin, who was the star designer at Zenith after WWII. 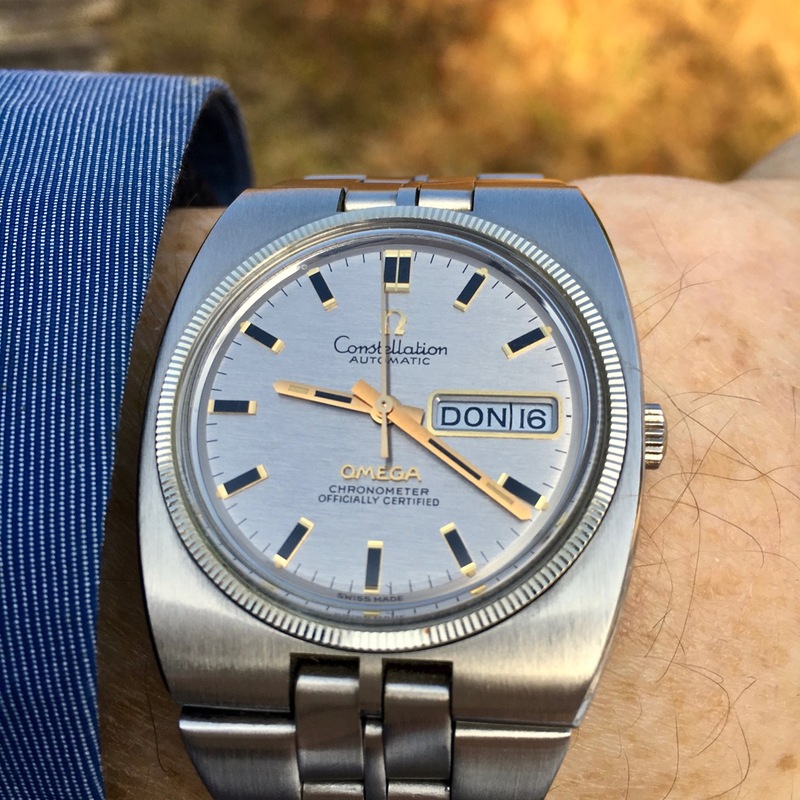 Today: Wore this 1960s/70s Constellation with Cal 750-series movement on my daily walk. I feel the Constellations lost their way a little during this period. The movement has the fiddly day/date mechanism which requires that the crown be pulled smartly out to its limit for each change. I always wonder if the whole stem is going to come out in my hand. However, the dial with its gold hands and markers, onyx inlays and other gold highlights is what grabs the attention with this watch. It has a funky case with a fluted bezel and an integrated bracelet. Next Topic: Aqua Terra Day-Date?